To many familiar with U.S. Rep. Beto O'Rourke, the 2012 Democratic primary for the 16th Congressional District is not exactly a blueprint for his 2018 effort to unseat U.S. Sen. Ted Cruz — but it's certainly instructive. Former. 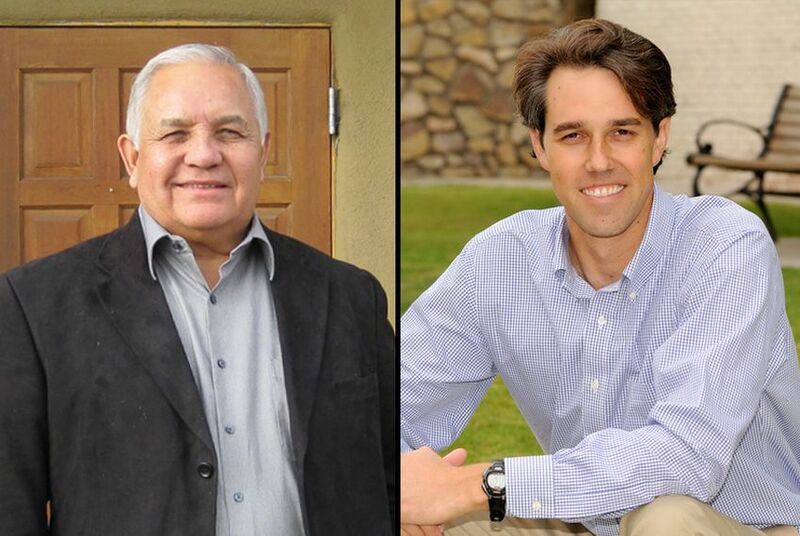 U.S. Rep. Silvestre Reyes, left, and current U.S. Rep. Beto O'Rourke, right. Half a decade ago, Beto O'Rourke stood at Tabla, a Spanish restaurant in El Paso's entertainment district, and drew from his business experience as he laid out the improbable case for a congressional campaign. “Probably most importantly, I learned the lesson of taking a calculated risk when I saw an opportunity to grow that business,” said O’Rourke, who had returned to his native El Paso a few years after college graduation to create a software company. Eight and half months later, the biggest calculated risk of O'Rourke’s political career until that point paid off. He defeated U.S. Rep. Silvestre Reyes, an eight-term incumbent, in a Democratic primary upset that reverberated across the country. It was not the first time O'Rourke beat the odds in El Paso politics. Seven years earlier, he had won a seat on the City Council after knocking off a two-term Democratic incumbent, Anthony Cobos. The victory made O’Rourke one of the youngest members the council had ever seen. Now O'Rourke, 44, is turning his attention to what would be his biggest upset yet in a political career built on exceeding expectations. In announcing Friday his challenge to U.S. Sen. Ted Cruz, R-Texas, O'Rourke threw himself into a long-shot race that he has vowed to approach much like his El Paso campaigns: without much regard for the established political order, the pricey trappings of modern campaigns or what the political prognosticators think. The question to many now — especially those watching from his hometown — is whether the devil-may-care politics that made him a star in El Paso are convertible to the massive undertaking that is a statewide campaign in Texas. "Something that is very doable on a local level over time — can you scale that to an 18-month statewide campaign?" asked El Paso County Judge Veronica Escobar, a longtime O'Rourke ally. "I think you can with the kind of work ethic Beto has and the kind of passion and enthusiasm Beto has." To many familiar with O'Rourke, the 2012 race is not exactly a blueprint for his 2018 effort — but it's certainly instructive. Before getting elected to Congress, O'Rourke had been perhaps best known outside El Paso for his stance in favor of marijuana legalization. It would lead him to publish a book in 2011 — two months after he launched his House campaign — that argued for ending the prohibition on pot as a way to fight the drug war unfolding just across the city's border with Mexico. That position fueled one of his first clashes with Reyes. As a council member in 2009, O'Rourke proposed a resolution calling for a national conversation about legalizing marijuana. The resolution passed unanimously, but the mayor vetoed it, and when O'Rourke tried to mount an override effort, in his recollection, the council started getting calls from Reyes. 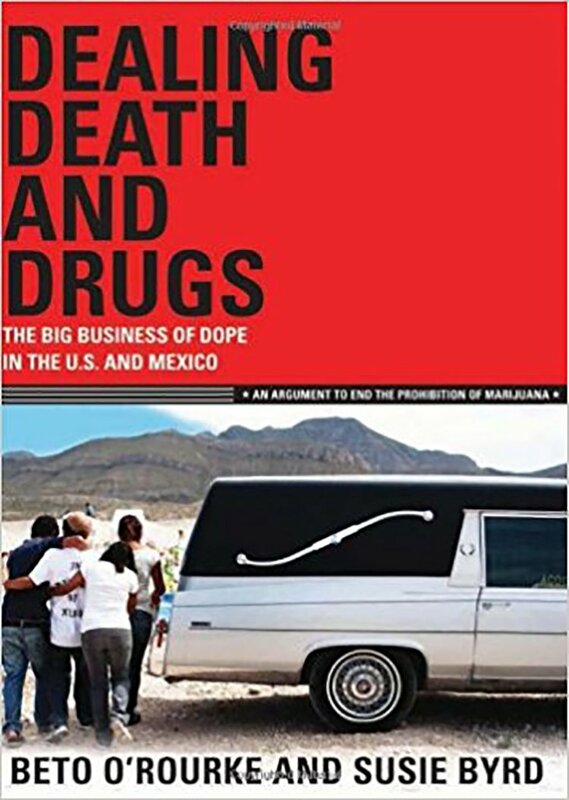 "He asked us not to move forward with the resolution and delivered a thinly veiled threat: failure to do so would result in the withholding of stimulus funds for our city, the third poorest in the United States," O'Rourke recalled in his book, "Dealing Death and Drugs: The Big Business of Dope in the U.S. and Mexico." Reyes was apparently persuasive — the override effort fell short. Yet the episode proved illuminating for even O'Rourke's critics at the time. "He was really able to articulate a lot of the issues, but even though they had their flaws, it was perceived as at least he was proposing ideas," said Vincent Perez, a former Reyes staffer and current El Paso County commissioner who once appeared opposite O'Rourke on a local TV show to debate the war on drugs. "Strategically, it was difficult because Beto was able to use ... [Reyes' stance] against legalization as part of a larger problem with the federal government." Despite the timing of the book, which O'Rourke published in November 2011 with council ally Susie Byrd, he did not make his pot stance a central issue in his 2012 campaign — even de-emphasizing it, by some accounts. It did not come up in his announcement speech, which nonetheless offered a careful case for sending Reyes home. "Silvestre Reyes has served 16 years in the U.S. Congress — 16 years that he's had to spend much of his time in Washington, D.C., he's had to sacrifice time with his family, and he's done what I think he thought was in the best interests of our city, and for that we owe him our respect and we owe him our gratitude," O'Rourke said, "but we do not owe him another term in office." 2012 was a unique year for Texas elections. The court battle over Texas' redistricting maps pushed the 2012 primary from March 6 to May 29, affording upstart challengers the most precious resource in politics: time. That benefited both O'Rourke and Cruz, who used the extended period to pull off his own massive upset — over Lt. Gov. David Dewhurst. The newly redrawn 16th Congressional District was also seen as bad news for Reyes. It no longer included part of the region's Lower Valley, which had been a reliable stronghold for Reyes over the years. It was also a notable time in El Paso politics, which was seeing the rise of a distinct group of Democrats aligned with former state Sen. Eliot Shapleigh. Generally speaking, they were young and progressive-minded and did not have as strong ties to the local party as some of their colleagues — meaning they were not necessarily the types to wait their turns in politics. "For those of us who were in on the campaign from the beginning, especially those of us who were elected officials — and there were very few of us — what it meant was going against a longtime member of Congress, a Hispanic leader, someone who had quite a following in the Democratic Party," said Escobar, the El Paso County judge. It was not lost on the city's more entrenched Democrats that the white O'Rourke — he is a fourth-generation Irish American — was looking to unseat a Hispanic lawmaker in a district that has an overwhelming Hispanic majority. Some critics still needle O'Rourke by calling him "Robert O'Rourke" — his legal name — as opposed to the more popular "Beto," which uses a Mexican nickname he took on in his childhood. Yet as he built his profile in El Paso, O'Rourke had found cachet with the city's Hispanic voters thanks to his fluent Spanish and willingness to wade deep into issues important to them. "Everything should've gone the other way with Reyes when it came to the candidate that had that Spanish connection," Pineda said. Reyes was not exactly caught flatfooted by O’Rourke’s challenge — he had been rumored to be interested in higher office long before he announced — but it soon became clear O’Rourke was the workhorse in the race. He spent months knocking on doors — over 16,000 by his count — and showed up everywhere, while Reyes was not fond of block walking and sent a staffer to most campaign forums. People involved in the O’Rourke campaign jokingly referred to it as the "Great Depression campaign" due to its lack of financial resources — and tightfistedness when it had them. The campaign was made up of mostly unpaid volunteers, not the high-priced consultants and pollsters that O’Rourke has also sworn off for his Senate campaign. O’Rourke’s shoestring operation provided a vivid contrast to Reyes' well-funded bid, which had all the makings of a modern campaign — including a slick 60-second TV ad that aired during the Super Bowl. Reyes also had on his side President Barack Obama and former President Bill Clinton, who traveled to the far-flung district to stump for the incumbent. O’Rourke's most memorable endorsement may have been that of the El Paso Times, which said Reyes had “stood on the sidelines” as decisions had been made affecting the border region. It was a theme O'Rourke frequently echoed throughout the race as he promised to be a more forceful, engaged advocate for the region in Washington. O'Rourke also was not afraid to raise ethical questions about Reyes, who doled out hundreds of thousands of dollars in campaign contributions to himself and family members, according to a 2012 study that got ample attention in the race. Reyes did not exactly shy away from his long congressional tenure, presenting himself as the seasoned legislator who knew how to rake in federal dollars for the district — "Reyes Works" was his campaign slogan. The Super Bowl spot showed him driving around town, surveying the projects that had received federal assistance as dollar amounts flashed across the screen. In the final few months of the race, Reyes increasingly cast doubt on whether voters could trust O'Rourke given his drug stance and arrest record from the 1990s. One ad showed children making angry faces, shouting "No!" and shaking their heads in disbelief as it spelled out O'Rourke's support for legalization. "Say NO to drugs. Say NO to Beto," the commercial read in conclusion. 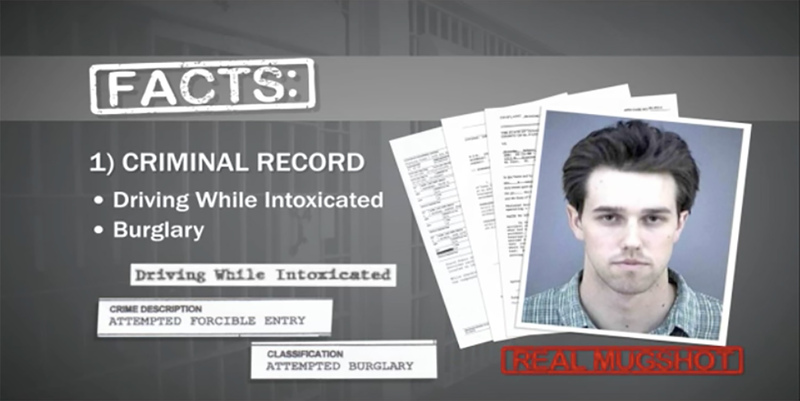 Another commercial opened with O'Rourke's mugshot as it highlighted his two arrests: first in 1995 for attempted burglary and then in 1998 for driving while intoxicated. He was never convicted in the cases, which he has attributed to foolish mistakes as a young man. Helping out with Reyes' ads was Pittle, who had previously assisted with O'Rourke's city council campaigns and briefly worked for his congressional bid at its start. Looking back on the marijuana and arrest record ads, Pittle said they were "not effective at all," though he acknowledged they were for a Democratic primary and not the kind of general election O'Rourke would face against Cruz. On marijuana in particular, Pittle said, "Given the way we are in our society today, I don't think that matters to people anymore." By the time Reyes' campaign launched those attacks, it was already becoming clear that O'Rourke would come out on top in the primary. On May 29, 2012, O'Rourke won with 50.5 percent of the vote, beating Reyes by 6 points. His 3,000-vote victory meant he narrowly avoided a run-off election. By the end of the race, Reyes had vastly outraised and outspent O’Rourke — by margins of roughly 2-to-1 at most points throughout the campaign. O’Rourke did receive help from a Houston-based super PAC, the Campaign for Primary Accountability, that reportedly spent $240,000 against Reyes as part of a broader effort to defeat longtime incumbents in both parties. The super PAC had such an outsized role in the race that it even appeared to draw the attention of Clinton, the former president, who said during his visit to El Paso that Reyes was the victim of "sneak attacks" by an outside group. "Follow the money," Clinton told El Pasoans, according to video posted online. Candidates do not have direct control over a super PAC’s activities. The group’s involvement in the 2012 contest still casts something of a pall over O’Rourke, who has long railed against the corrosive influence of money in politics. In his Senate campaign, he has vowed to continue rejecting PAC money. El Paso Democrats say there are still some hard feelings over the 2012 race, especially among the Reyes family and its allies. The contest has “always left a bitter taste in the mouth of a certain Democrat in El Paso,” said Pineda, the UTEP professor. Reyes and his brother, who served his campaign manager, did not respond to multiple calls and emails seeking comment for this story. Reyes has not entirely receded from the political spotlight — he has made a number of media appearances since the 2016 election, criticizing President Donald Trump’s proposed wall along the U.S.-Mexico border. Even among O’Rourke’s skeptics, the 2012 race continues to be a touchstone for his penchant for seemingly quixotic endeavors. Perez, the county commissioner, said the ambitious O’Rourke had a choice back then: Either wait for Reyes' seat to open up and join the inevitably crowded race to replace him or take the much lonelier route that he took in 2012. O'Rourke and U.S. Rep. Will Hurd signed up for one another's legislation after a road trip that drew national attention. Disclosure: The University of Texas at El Paso has been a financial supporter of The Texas Tribune. A complete list of Tribune donors and sponsors can be viewed here.